Stephanie has enjoyed a successful career working in the global food and beverage and technology sectors in over fifty countries and has founded three companies focused on sustainable sourcing, supply chain, environmental and risk management solutions for the agriculture, food, water and natural resource industries. She has built a talented and expanded team drawn from academia, the sciences, business and technology to support the vision of providing world class, innovative geo-spatial analytics to people and business helping them realize their full potential by automating insights and intelligence on sustainable landscapes in light of climate change. Crop Performance is a predictive analytics company focused on the commercialisation of remote sensing to improve crop yields, mitigate risk due to climate change, monitor environment impact of food production and create resilient landscapes through monitoring soil health, water quality and ecosystem services at the catchment scale. Crop Performance provides environmental analytics to inform complex decisions related to food and water security, climate risk and sustainable landscapes. Crop Performance values risk and provides micro-finance to growers and land managers to mitigate the impact of climate change on food production and environmental services such as soil health and clean water. Early warning networks predict drought, flood, fire, pest and disease to protect yield, mitigate risk and enable communities to create resilient landscapes in the face of climate change. The Crop Performance team has over 200+ years of combined multi-disciplinary experience in plant physiology, plant pathology, crop, soil and atmosphere science, hydrology, geomorphology, wetland ecology, remote sensing, crop and environmental modeling and monitoring for the purposes of assessing crop performance and watershed health in agricultural wild land, and municipal landscapes. Stephanie Race is the Founder, Chairman and Chief Executive of Crop Performance Ltd. 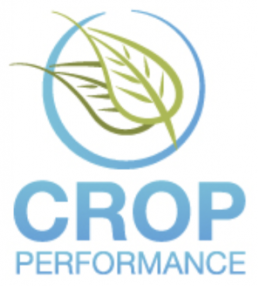 Crop Performance works with growers and food companies to improve productivity, conserve resources, and monitor the environmental impact of agriculture and food production on land and water use. Crop Performance provides in-season crop yield forecasts increasing the certainty of supply, enabling growers to anticipate how changes in temperature and precipitation will impact yields, allowing food companies to adapt their sourcing practices and commodities fund managers to hedge with facts informed by scientific insights. Crop Performance monitors crop growth & development, water, soil fertility, crop nutrition and greenhouse gas emissions in crop, pasture and rangeland systems and monitors impacts of erosion and runoff, nutrient and sediment loading and biological conditions in watersheds. Stephanie has been providing sourcing and risk management solutions for the agriculture, food & beverage industry for over 25 years. One of the early pioneers of IoT, Stephanie developed the first product data exchange utilizing electronic product codes to delineate location based sourcing via the global trading identification number creating the foundation for provenance in the food and consumer products industry. Stephanie has founded three data and analytics companies in the food and agriculture supply chain,, including the first informatics platform to monitor the environmental outcomes (soil health, water quality and ghg emissions) of growing vegetables and cereal crops at scale. Stephanie was a Partner at Accenture, leading the firm’s Enterprise Data Management and Business Analytics Practice for the Food, Retail and Consumer Products industry and gained her corporate technology experience with executive leadership roles in the Product Engineering and Consulting Services organizations of Oracle Corporation and Andersen Consulting. In collaboration with NASA, she conceived and built solutions using satellite based earth observation data to analyze the economics of agriculture, land use, infrastructure and water for the food and beverage industry. Stephanie co-founded Global Map Aid. Global Map Aid provides geospatial imagery to humanitarian assistance organizations such as USAID, UNHCR, World Vision, Red Cross and Oxfam, resulting in efficient distribution of aid to those in need. Stephanie received a B.S. in Business Administration, a M.S. in Computer Science from Carnegie Mellon University and will receive a PhD from Lulea University of Technology in 2018.